As well as being important tools for geologists, geological maps are often works of art in their own right – our William Smith map, which hangs in our entrance hall, attracts hundreds of visitors per year. Each colour used represents a different rock type. But how do geologists decide which colours to use? 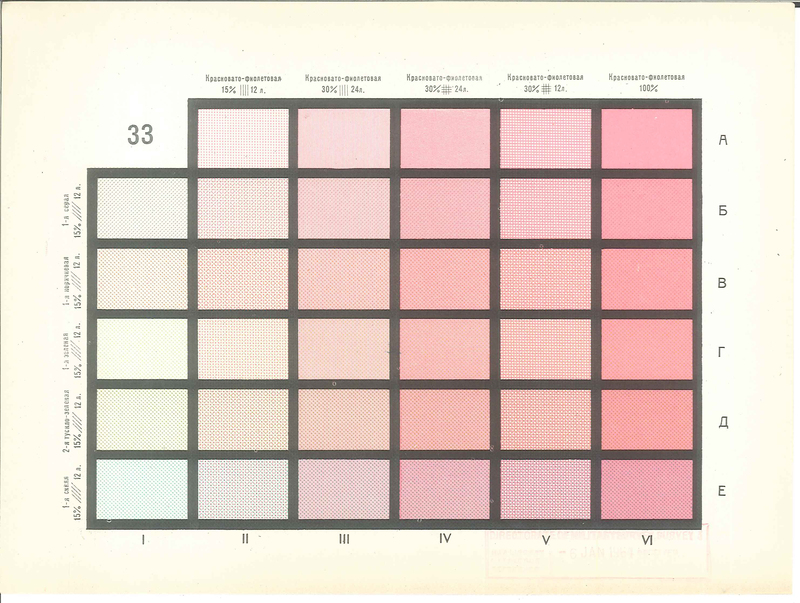 Recently unearthed from the stacks of the Geological Society Library are these amazing colour cards published in Moscow in the 1960s. 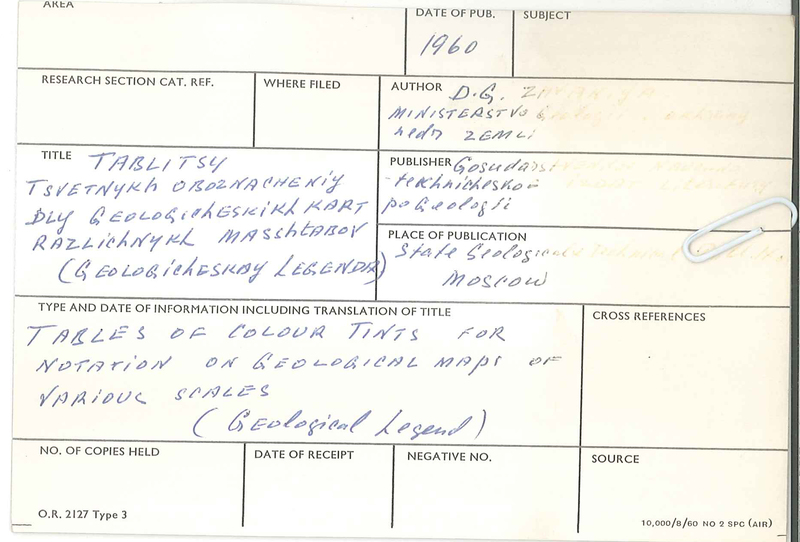 The author is Dimitri G. Zhvania of the Ministry of Geology and Mineral Protection of the USSR. 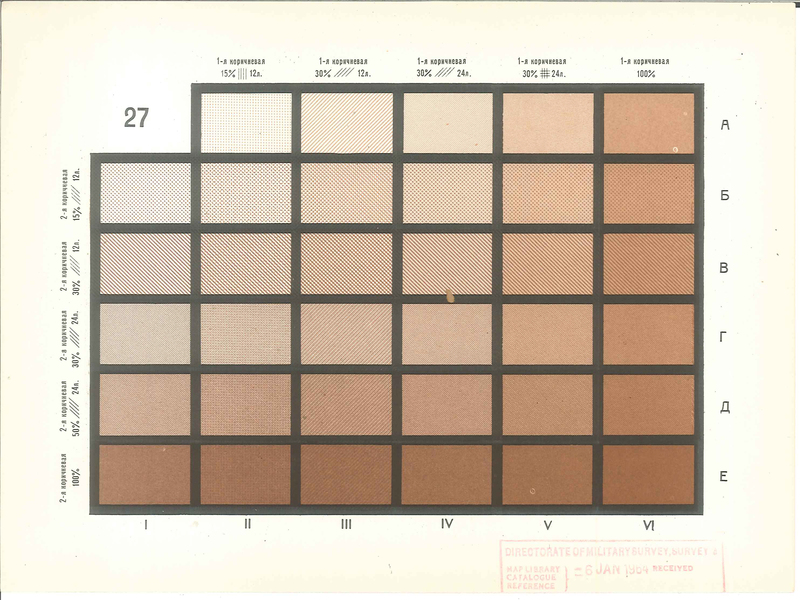 Geological mapping involves a lot of different colours representing the deposits. 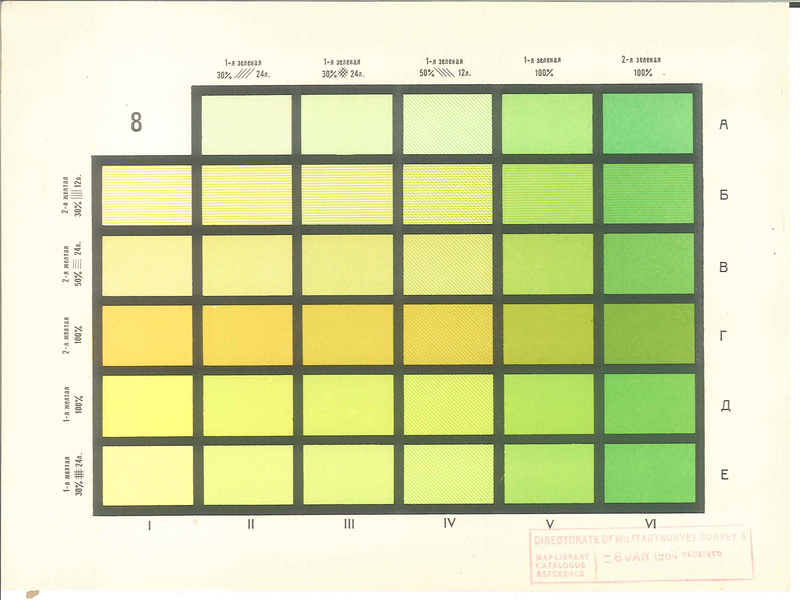 Since the first mapping using colours to represent stratigraphy in the 19th century, standardised colourings have been proposed and argued about. Different countries have used different methods over the years. Changing printing processes have added to the problems. A further problem is that particularly dark colours can obscure the details from the base map underneath. The solution is to offer a range of colours for each stratigraphic unit on the map with varying degrees of shading to allow the base map to be readable through it. 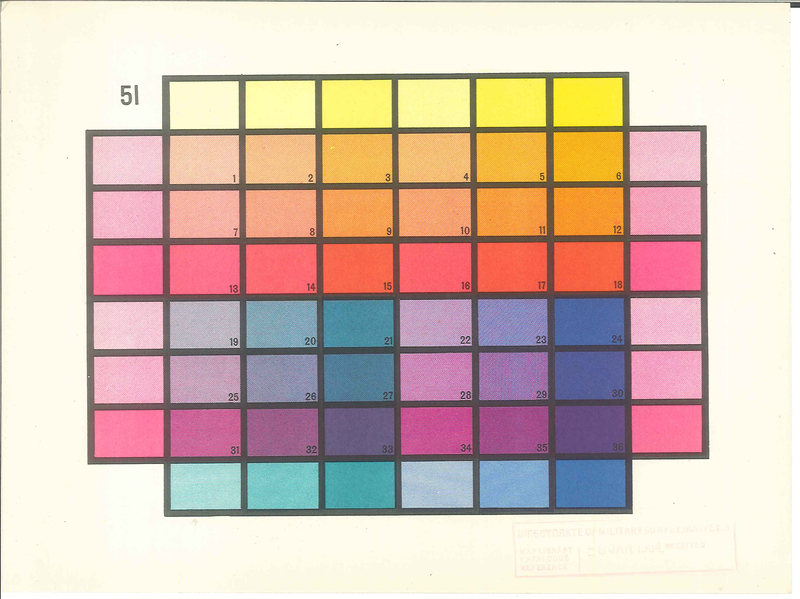 These cards were intended to give map-makers a range of standard colours and transparency levels they could choose from when making their maps. There is small pamphlet with the cards indicating which table should be used for which, for example tables 8-12 are for use with Cretaceous strata (МЕЛОВОЙ СИСТМЫ), tables 26-29 are for the Devonian (ДЕВОНСКОЙ СИСТЕМЫ) while tables 33-35 are for the Cambrian (КЕМБРИЙСКОЙ СИСТЕМЫ). Tags: christmas, colour, library, maps, Russian geology, William Smith. Bookmark the permalink.